The last day of the trip. We woke up early and had another nice breakfast at the hotel. The woman at reception, who's been nice since the beginning, gave us two Fischer's beer glasses as a souvenir. 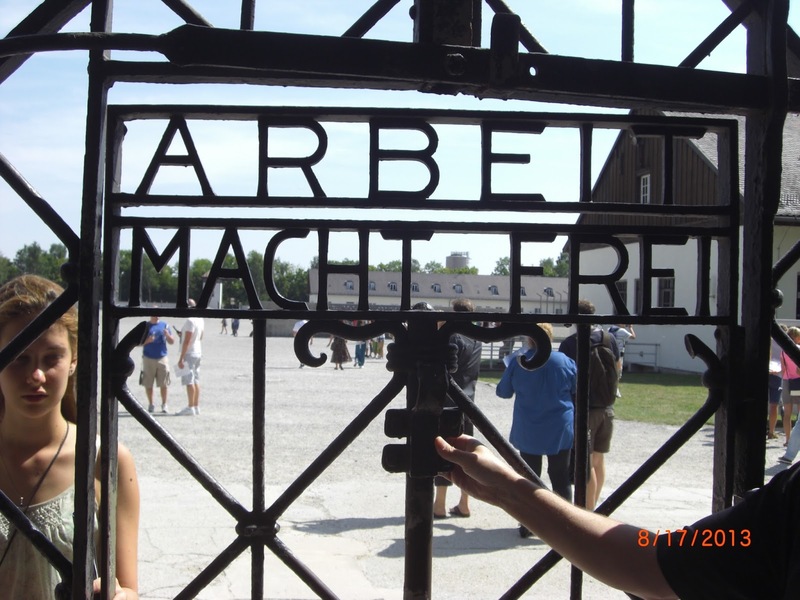 Then we left for the three-hour ride to Dachau. The famous "Work makes you free" sign. When you get to the small town, it seems pretty normal. Its terror-filled past isn't immediately obvious to the naked eye. To get to the site of the former camp, you pass by groceries stories and fast food restaurants. Then you pay three euros at the gate to park. There are actually houses right outside the camp gates. It's scary to think about how people can still live there. We passed through the information center and went towards the camp site itself. After realizing that we'd be late for the 11:30 showing of the camp documentary, we decided to come back to it later. Since Oma and Opa had already been to the camp twice, Sara, dad, and I walked around. 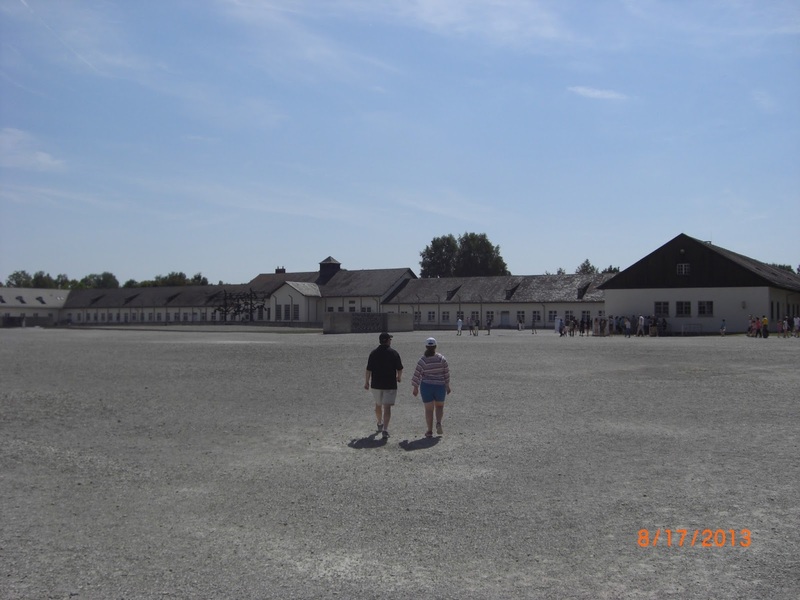 We walked down the many rows of barracks now reduced to rubble, and then to the crematorium. Passing through the former sites of such horrid death was surreal. After walking through there, we went back to the pistol range where Nazis would carry out executions through a shot to the back of the neck. From there we walked back to watch the documentary. It was scorching hot outside. You could feel the heat and what it must have been like to have been put to work with that kind of weather. The documentary consisted of footage from the camp that was broadcast in the 1960s. A lot of pictures and videos of camp life and the camp's liberation. When the 20 minute-long documentary ended, Dad, Sara, and I walked down the other side of the barracks and spent a few minutes in one of the barracks that is still up. Those few minutes really brought everything together. 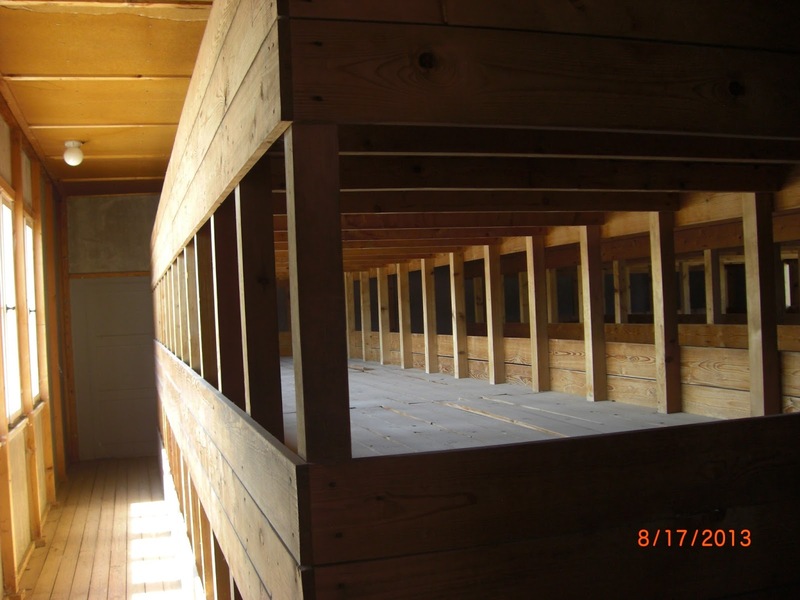 The clustered nature of the barracks made it feel real. The three of us walked into the Jewish memorial to the dead (there were memorials set up from multiple religions) and spent a minute there. 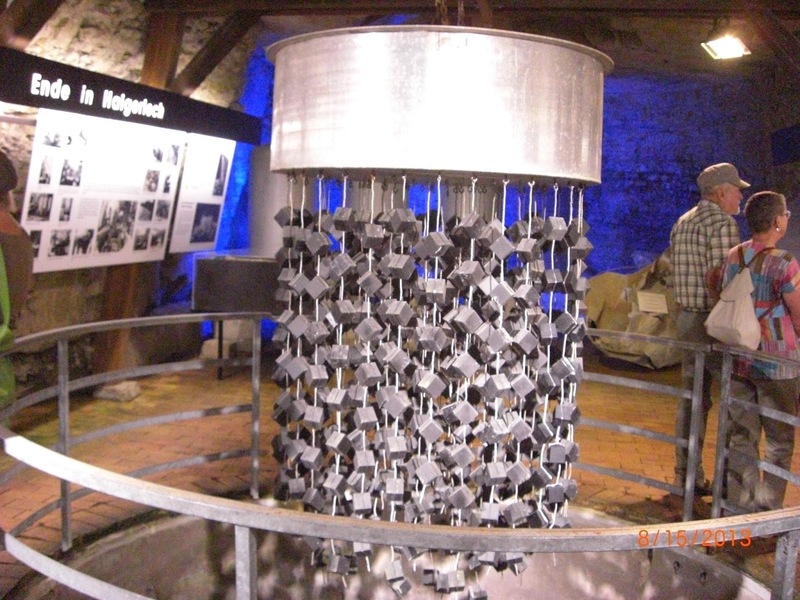 Then we walked back to the central area of the camp and went through the museum, which is located inside the former SS headquarters and the area where the prisoners went when they first arrived at the camp. 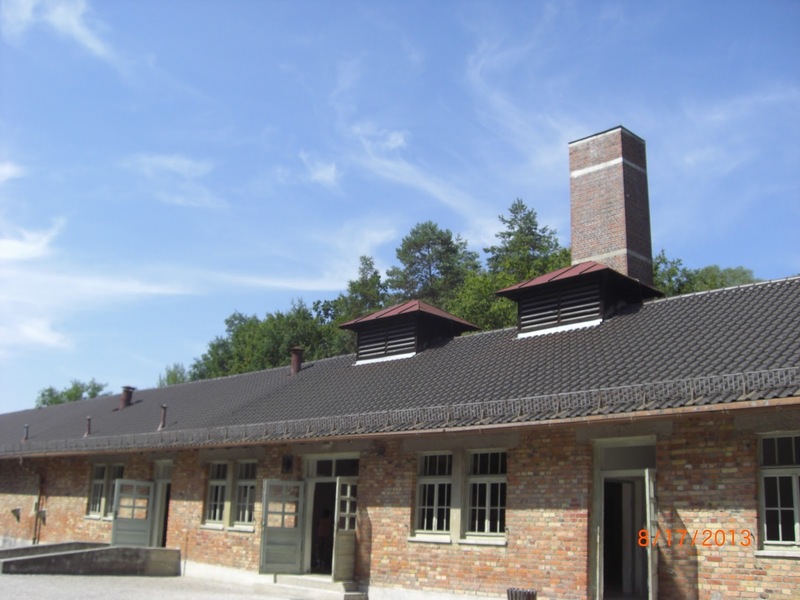 After spending about three hours there, we left Dachau. Next stop the Frankfurt airport. We ran into a decent amount of traffic on the way there. Once we arrived, we dropped off the car and checked our luggage. Our hotel was connected to the airport. We got there, rested a bit, and went for dinner. Then we got back and went to sleep. That's it for the trip. We had uneventful flights from Frankfurt to Zurich, and then Zurich back to New York. Thanks for reading and I hope you enjoyed. We slept in a little today and had breakfast again on the bottom floor of the hotel. More bread of course. Then we took off to spend the day in Tübingen, a nearby university town. 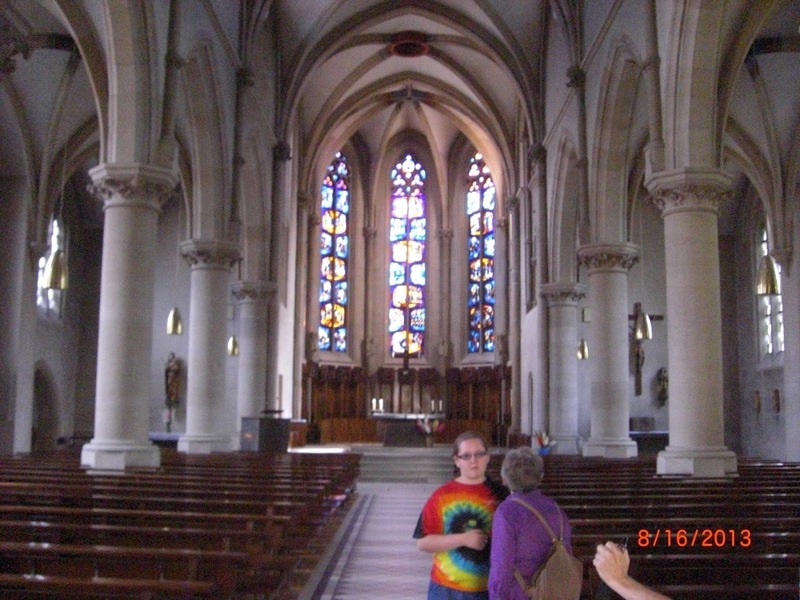 When we arrived, we walked around the streets and looked inside a few of the churches. 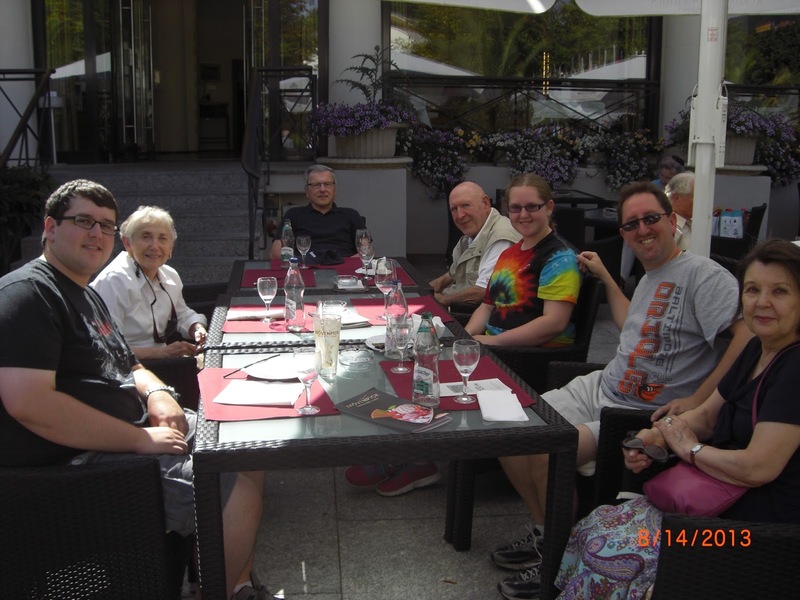 After that we walked through a large park with some gardens and then went back towards the Neckar river. When there, Opa stayed behind and the rest of us went on a little paddle-boat around the river. Sara and dad did the paddling, and it was pretty hard work for them. We stayed to relax on the river for a half hour or so. 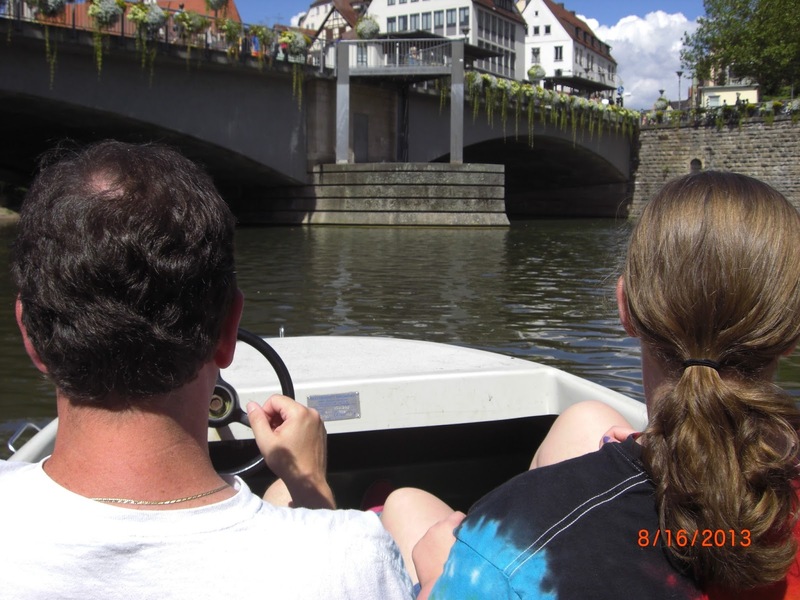 There wasn't much to do in Tübingen, so we drove around the university for a few minutes before leaving. The university there is pretty famous, so Sara was trying to convince me to take an admissions packet. She just wants me going far away. So we left Tübingen to head back to Mossingen to chill for a while. After doing that for a few hours, we got gas and went for dinner at the restaurant where dad and I got a beer last night. It was very, very good. I got turkey schnitzel with fries and a salad. Everyone really enjoyed their meals. I also got two beers. It was a productive day. I'll apologize in advance for this short post, but I promise it isn't my fault. 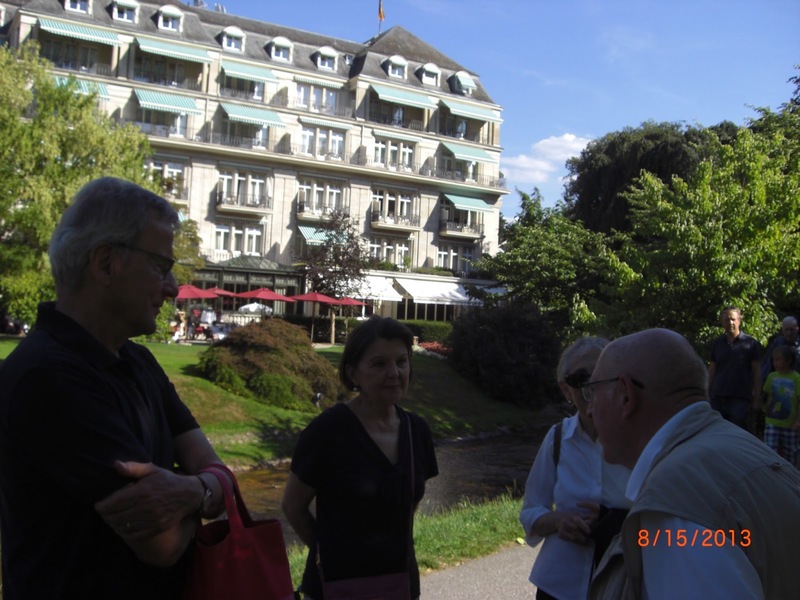 We left Otterberg in the morning to meet friends in Baden-Baden. 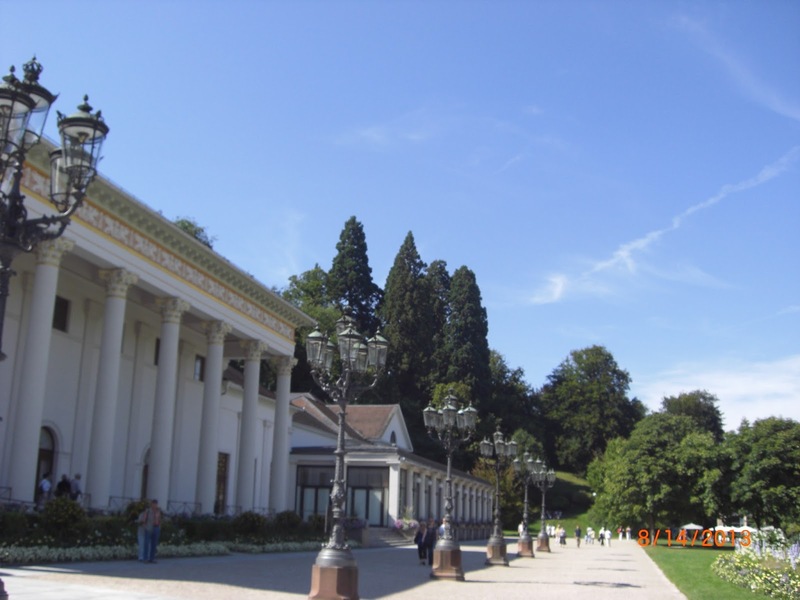 Baden-Baden is an old spa town that was popular for its casinos. Dostoevsky famously lost thousands at the casinos in Baden-Baden, and even wrote a book about it called The Gambler. The town has a really old feel to it. It's very 19th century, very Gone with the Wind. It was, as my grandfather described it, like being in a time warp. So we met our friends there and had a nice lunch right next to the old casino. After walking through some of the old parks and gardens, we went back to our car to make our way to Mössingen, a town right near Hechingen, where my great-grandmother was from. 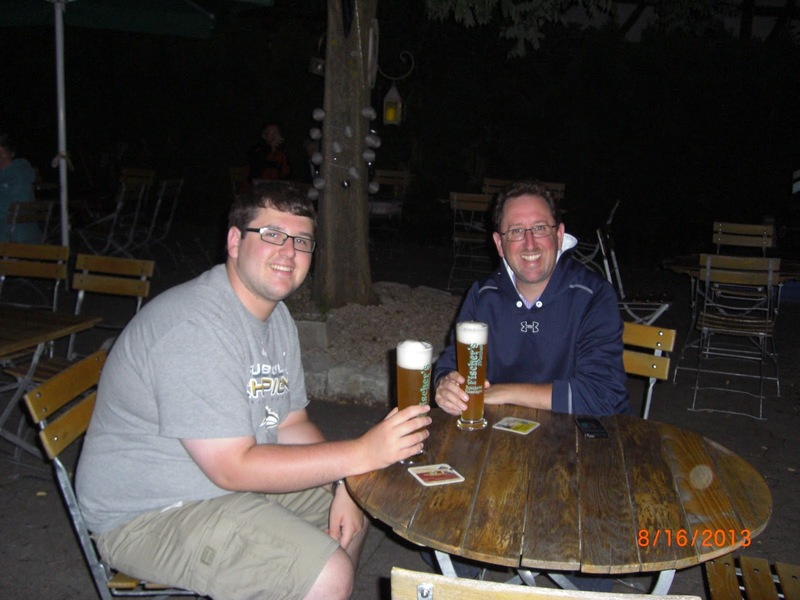 When we got in the car, the GPS had us arriving in Mössingen at about 5:30 PM. Well, not exactly. 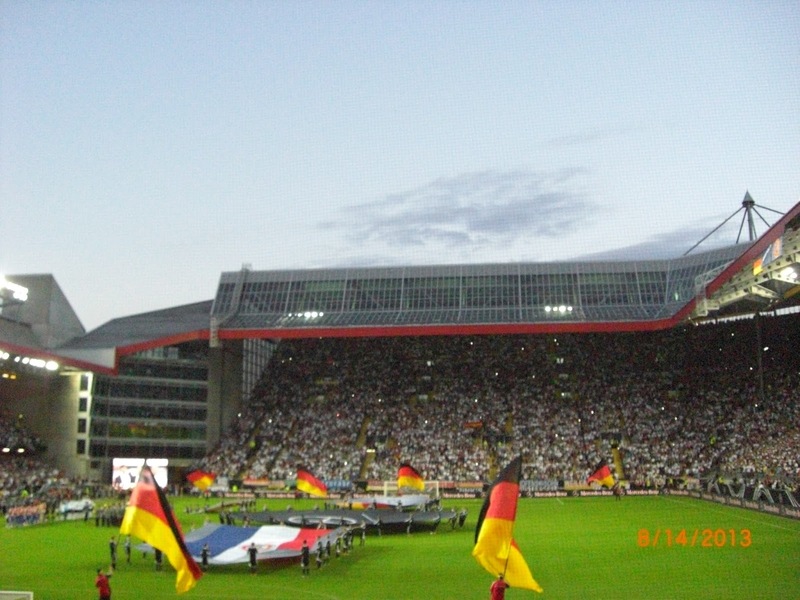 After getting on the Autobahn, famous for being the fastest expressway in the world, we got stuck in seven hours of standstill traffic, the worst any of us had ever been in. There were parts when nobody was moving an inch. People were getting out of their cars to smoke. It was insane. Hours later, when we finally passed the standstill, the GPS took us off the Autobahn for an hour, making the trip even longer. 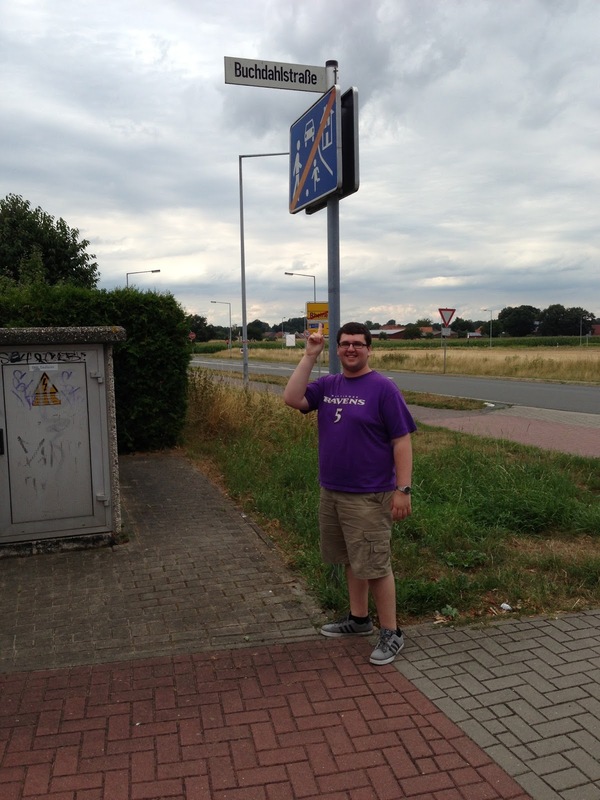 Just before we got back on the Autobahn to finally get to Mössingen, we found a McDonald's to get something to eat. McDonald's had never looked better to us. An hour later, we arrived in Mössingen and crashed. Today was a nice, calm day. We left Münster late in the morning after having one more bread breakfast with the Althoffs. Our next destination was the tourist city of Bacharach, about a three-hour drive from Münster. Most of the drive was the famous speed limit-less Autobahn. 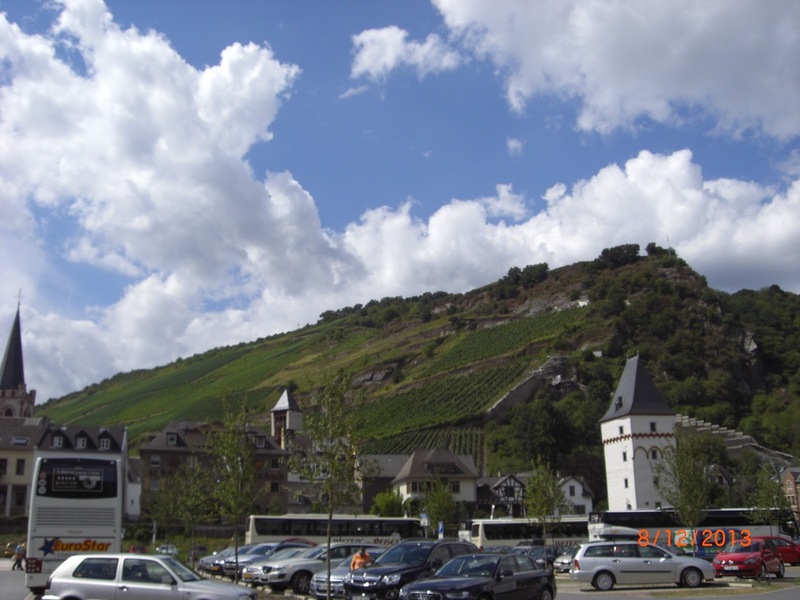 We checked into our small hotel in Bacharach and went to take a cruise along the Rhine river. It really is a beautiful area of the country. Lots of green fields, vineyards, small mountains, and ancient castles. Just stunning. The cruise also included the famous Lorelei rock, the subject of a poem and of course, the Styx song. 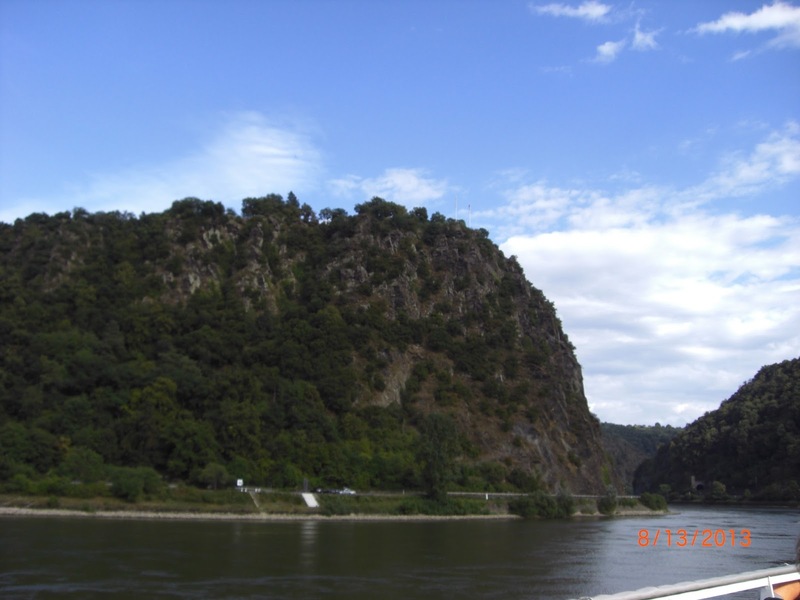 The cruise's destination was St. Goar, a town filled with tourist trap shops. We were only trapped into one. St. Goar is an old town with lots of old neighborhoods and a castle up on a hill. It's a cool little town, but there isn't that much to do there. We got a couple of gifts and headed back to Bacharach. Bacharach is famous for their wine. 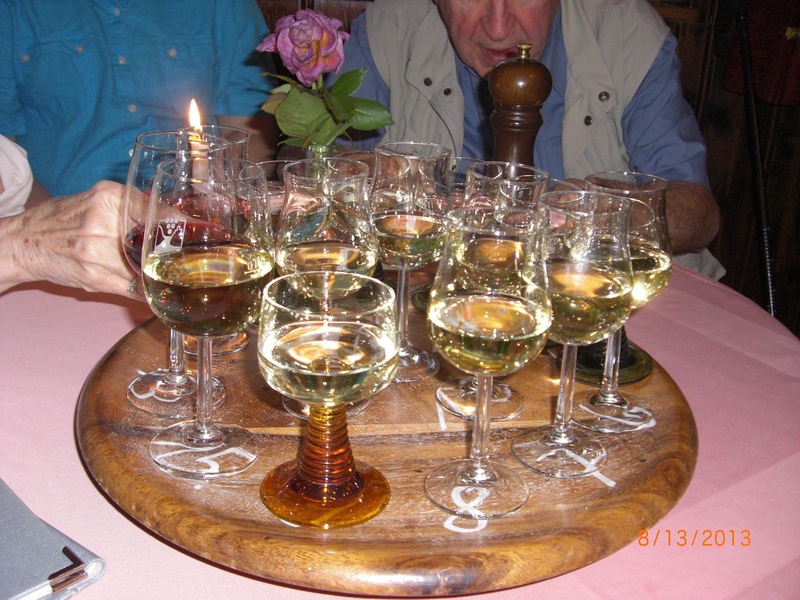 At one restaurant in Bacharach, they offer a special wine tasting where they give you fifteen half-full glasses of wine on a lazy susan. You taste, and spin it on to the next person. It was pretty cool. At first, it doesn't seem like there's all that much wine. It was quite deceiving. Sara wasn't drinking, which meant it was just the four of us sharing all the wine. By the end of the tasting, we were all pretty loopy. It's not every night you get drunk with your grandparents. After the wine tasting, we got some dinner, another doner kabob. We were slowly realizing just how popular they are in Germany. 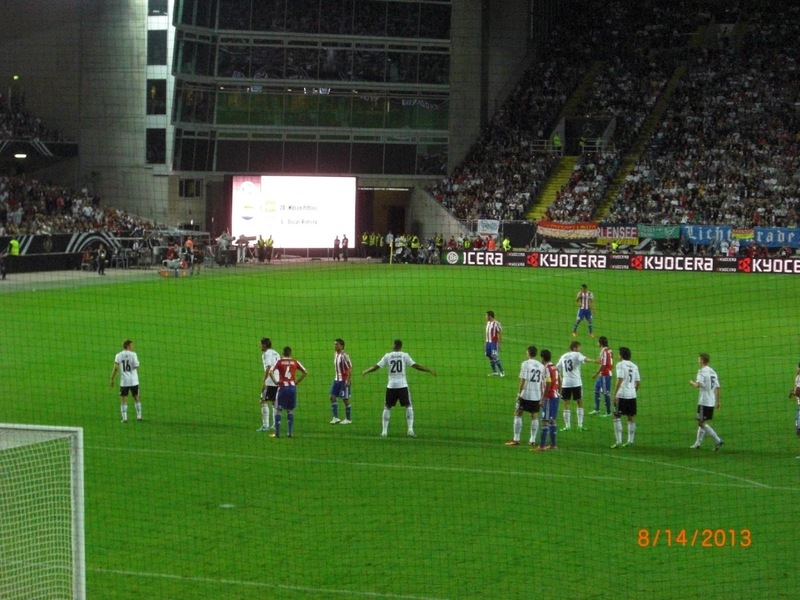 The influx of Turkish immigrants into Germany make them so popular. Today was one of the days I'd been looking forward to for a long time. The five of us, with the Althoffs as our tour guides, went to visit my grandfather's hometown of Rheine, about an hour's drive from Münster. 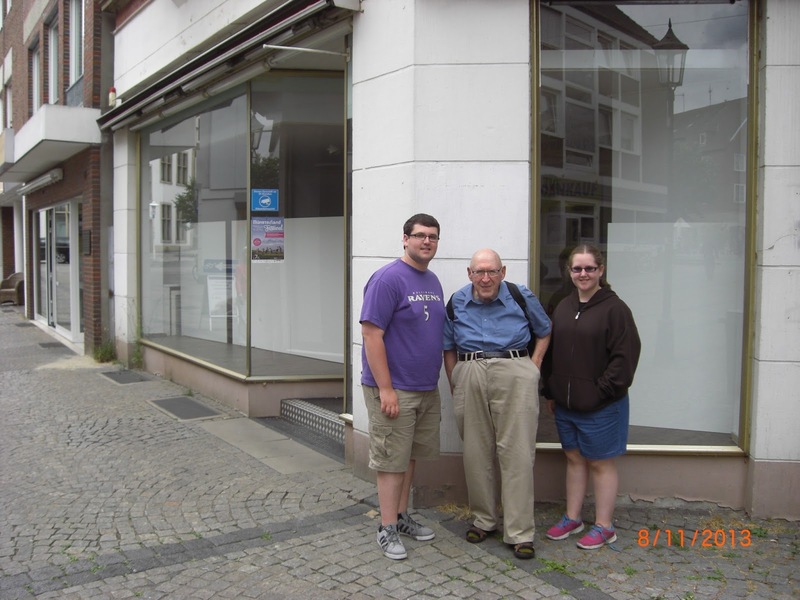 Once we arrived in Rheine, the Althoffs took us to Rheine's Jewish cemetery. 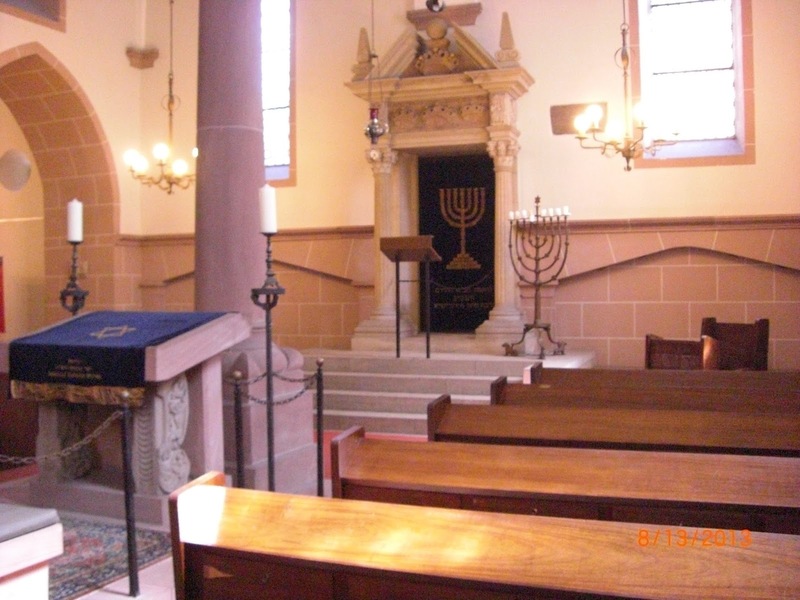 In 1920, the Jews of Rheine acquired a decent bit of land, on which they built this cemetery. The Jews obviously lost this land in the 1930's. Sometime between 1945 and 1950, all of the headstones in the cemetery were likely robbed. Today, they are all still gone. 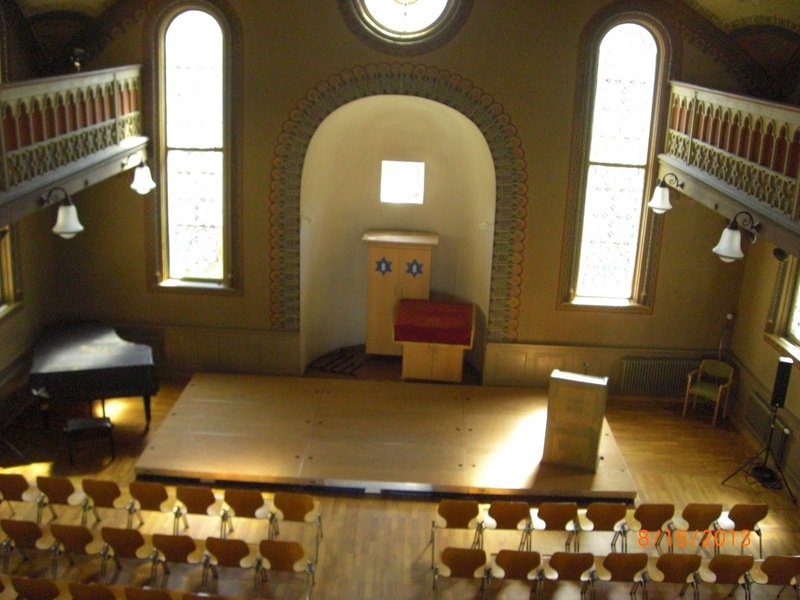 Gertrude Althoff has, for years, advocated for the restoration of the Jewish cemetery and other Jewish institutions around Rheine, but she hasn't found support from the town's legislature. She's in the fight alone. Despite the lack of headstones, there is a plaque on the cemetery wall which has the names of Jews who are buried there. The plaque includes the names of three family members. We think we know the spot where they are still buried, but we can't be sure. After spending a few minutes at the cemetery, we went to get lunch at a Chinese-Mongolian buffet. Then we went to walk around the city of Rheine itself. 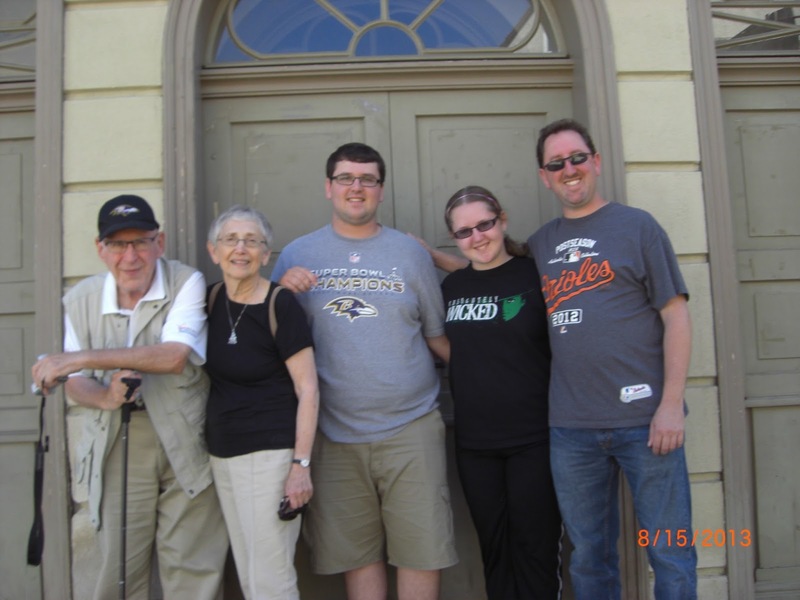 We went through town hall and eventually made our way to the house my grandfather lived in during his first two years of life. The house has a bottom section and an upper section. When my grandfather lived there, the upper part was the living quarters, while the bottom part was my great-grandfather Max's fruit and vegetable shop. 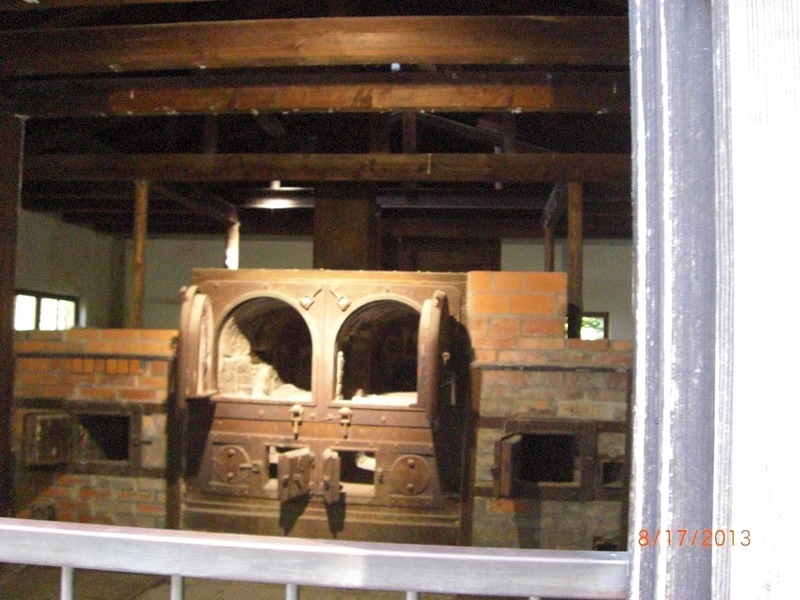 In 1937, the Nazis firebombed his shop. Today, the shop is empty. The upper part houses some apartments, but since it was a weekday afternoon, I don't think the tenants were home. We would have loved to go up there if we had the chance, though. Up the street from the house is a pre-school. In front of the school, in the middle of a cobblestone street, is a small plaque on the ground. 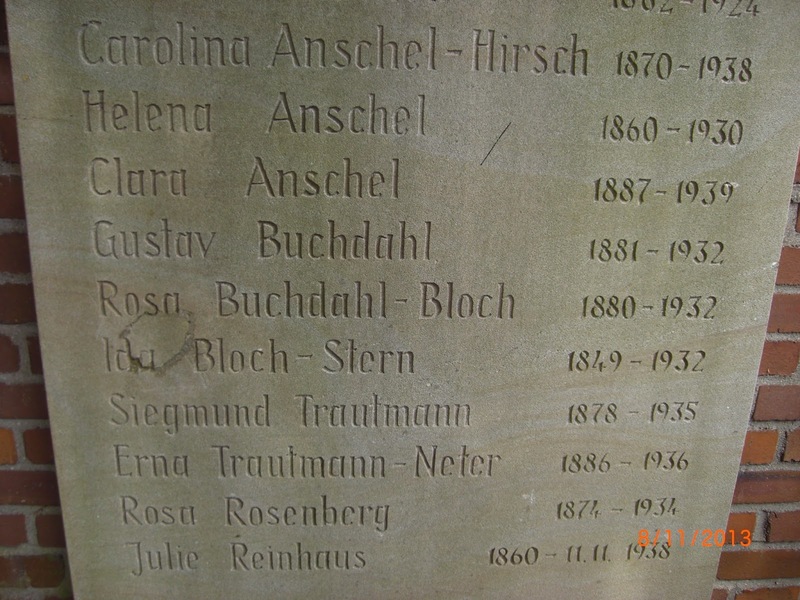 The plaque has the name of my great-great-great-grandfather, Bendix Buchdahl. 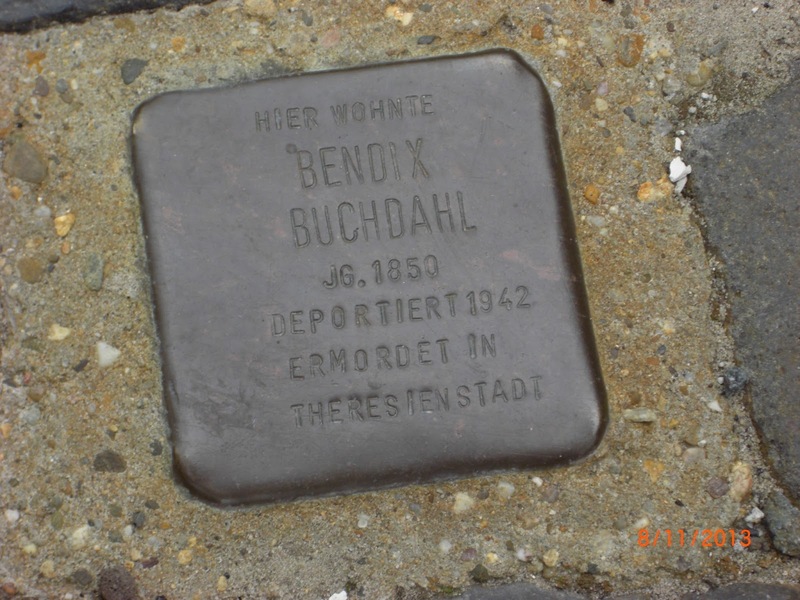 Bendix, at age 92, died at the Theresienstadt concentration camp in 1942. 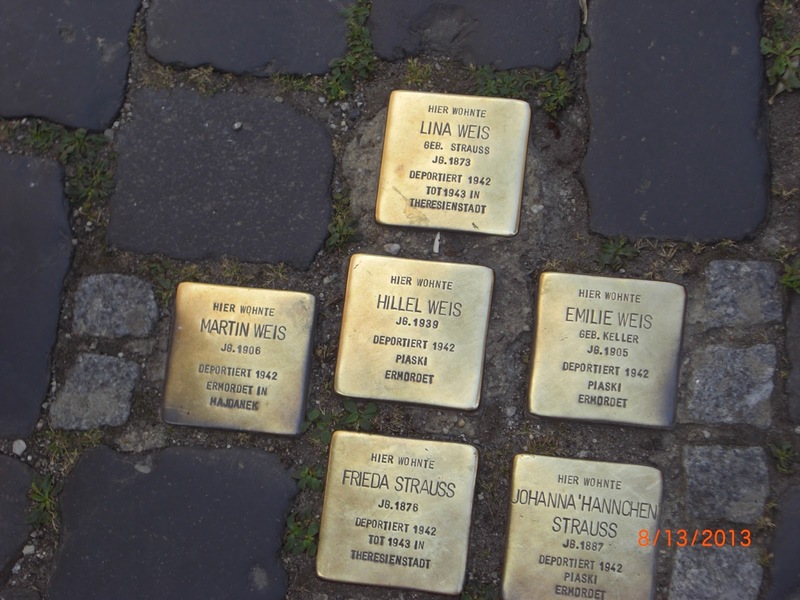 In Germany, the names of Holocaust victims are put on what are called "stolpersteins," literally translating to a stumbling block. The stolpersteins are raised a bit higher than the cobblestones on the street. The purpose of the stolpersteins is for Germans to trip over them as part of remembering the Holocaust. It's an interesting reminder. Then we moved on to our street. In some German towns, they named streets after families that were killed off or left. Gertrude is bitter because they didn't put the streets in the city, where the Jews lived. 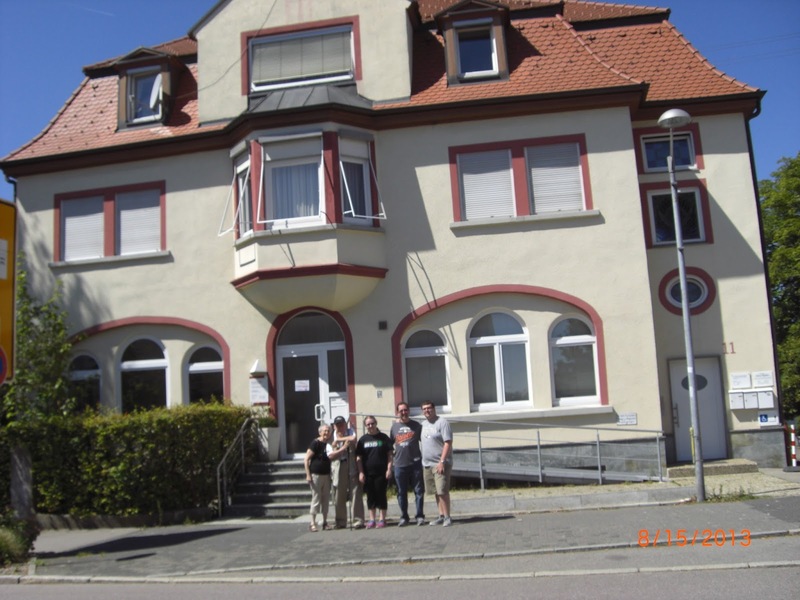 Our street, Buchdahlstrasse, is located in a suburban area of Rheine, outside the city limits. It was cool to see our name on a street, and it was a nice photo op. That was the day in Rheine. We made our way back to Münster, and had more bread for dinner at the Althoffs.